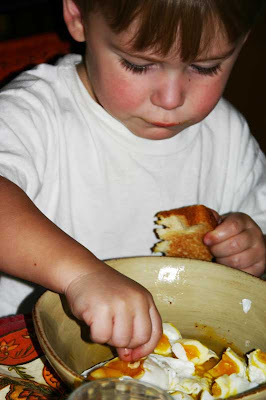 He learns to dunk his toast in a dropped egg. There you go, Garrin. A bigger piece of bread always works better. Garrin, your Auntie Kimmy is so proud of you! 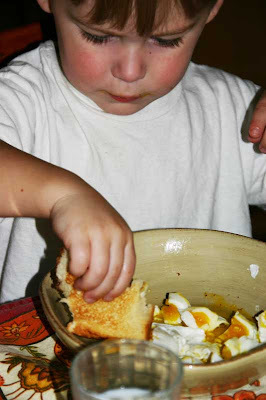 That's really the only way to eat an egg!